U2 & Bono Cancel 'Tonight Show' Week Long Residency, So Will Justin Timberlake Save the Day? I'm one for tradition, so I was very excited to hear U2 would return to The Tonight Show starring Jimmy Fallon for a week long residency. When Fallon took over the famous late night show, U2 was his first musical guest, so it seemed pretty monumental that the show's inaugural musical guests would kick off a residency. Unfortunately, plans have changed, as it was announced that U2 would have to postpone The Tonight Show residency due to an injury Bono has faced. 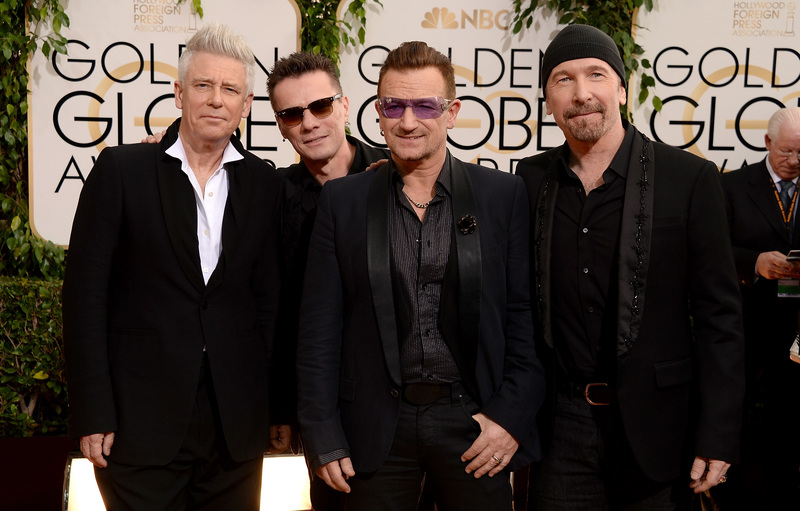 U2 announced the news on their website Sunday. It looks like we will have to do our Tonight Show residency another time — we're one man down. Bono has injured his arm in a cycling spill in Central Park and requires some surgery to repair it. We're sure he'll make a full recovery soon, so we'll be back! Much thanks to Jimmy Fallon and everyone at the show for their understanding. While it is disappointing that U2 won't be on the show for the week — although, after the U2 iTunes debacle, people are probably thankful for their space from the band — I'm more curious as to who will fill in for the band throughout the week. Booking musical guests on late night TV shows happens far far in advance, so this last minute cancelation is surely causing a little bit of panic at The Tonight Show right now. In the spirit of the upcoming holidays and giving, here is a list of the artists that should fill the week up in lieu of U2, for Fallon's convenience, of course. Obviously, the most ideal choice would be for JT to be there all week long, like he did in the past, but beggars can't be choosers. JT and JF have the best time together, and we as viewers have the best time watching them have the best time. How can we not want T Swift to make an appearance this week? Ever since 1989 came out, it has been a waiting game for her to appear on Tonight Show. For hump day, let's keep the musical guests internal. Questlove and Captain Kirk Douglas' "Black Simon & Garfunkel" have performed some of the best covers The Tonight Show has aired, but they are only about a minute long. Let's give the stage to these two for a full set this week. Although he isn't a musical guest, he is one with the tradition that brought U2 back to The Tonight Show. Just as U2 was the first musical guest to perform on the show with Fallon as host, Seinfeld was the first comedian to perform on The Tonight Show. Because I just can't get enough of Radcliffe rapping.